The IFS® line of economy series (ES) Ethernet switches provide Gigabit Ethernet (10/100/1000Mbps) transmission combined with a built-in 4-Port PoE injector providing up to 15.4w per port with a total PoE power budget of 55 watts. 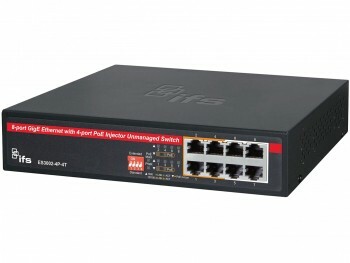 The IFS ES3002-4P-4T is a cost-effective switch for a small IP video network. 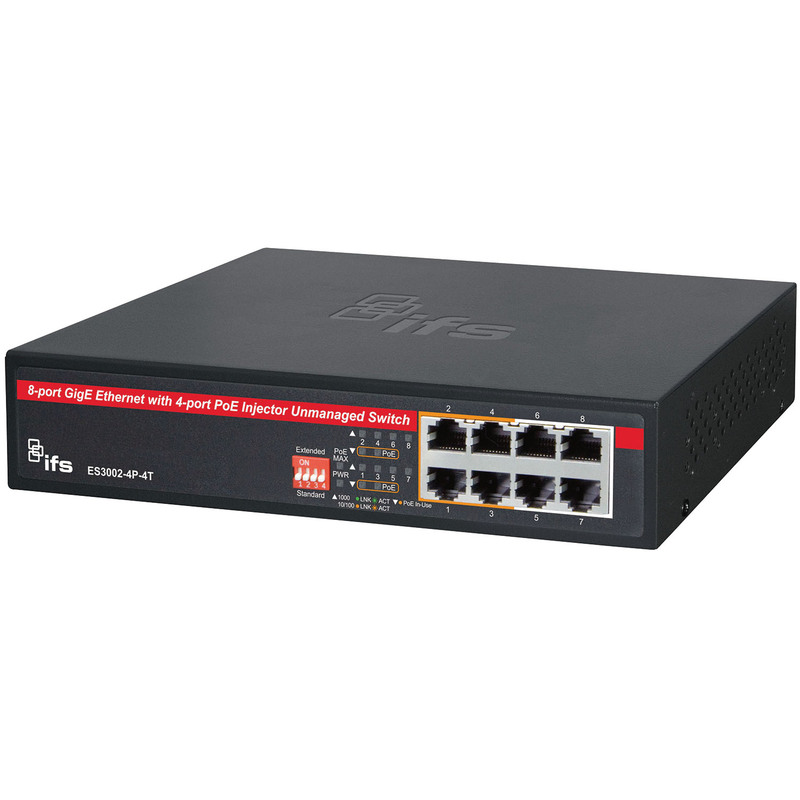 This switch is designed to provide non-blocking wirespeed performance and easy plug-and-play installation for desktop deployment of IP cameras, IP intercom, wireless access points (WAP) and other Ethernet applications. This switch utilizes an internal power supply versus an external wallmount transformer thus providing more reliable PoE performance and a higher total PoE power budget. In addition, the ES3002-4P-4T utilizes energy saving technology that reduces energy usage. The Idle Mode Link Down Power Saving feature complies with the IEEE 802.3az Energy Efficient Ethernet (EEE) standard to automatically lower power for a given port when it is not connected. The Intelligent Power Scaling Technology actively determines the appropriate power level based on the cable length. These two green features can reduce overall power consumption, which makes a significant contribution to energy savings.